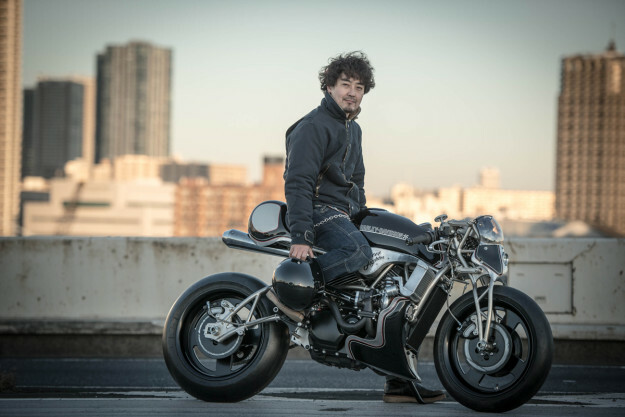 Kaichiroh Kurosu is one of Japan’s elite builders. 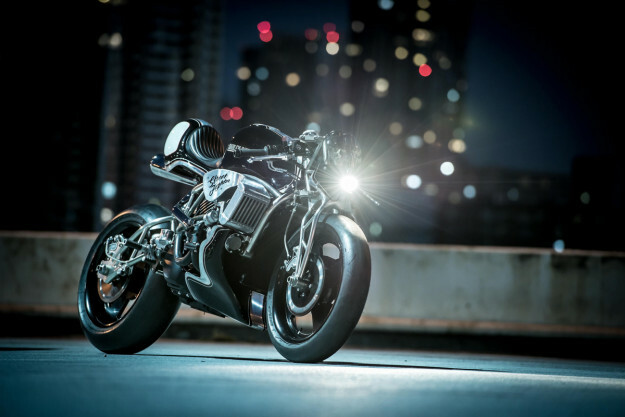 He runs Cherry’s Company out of a cosy workshop in Tokyo, and his builds display incredible imagination and craftsmanship. Admittedly, we knew little of his virtuoso career until he released the ‘Highway Fighter’—an off-the-wall BMW R nineT that currently graces the cover of our 2016 motorcycle wall calendar. And now this machine is one of the stars of the 2017 calendar. A little digging revealed a portfolio stacked with Harley-Davidsons; Kurosu-san’s been wrenching on them for over twenty years. 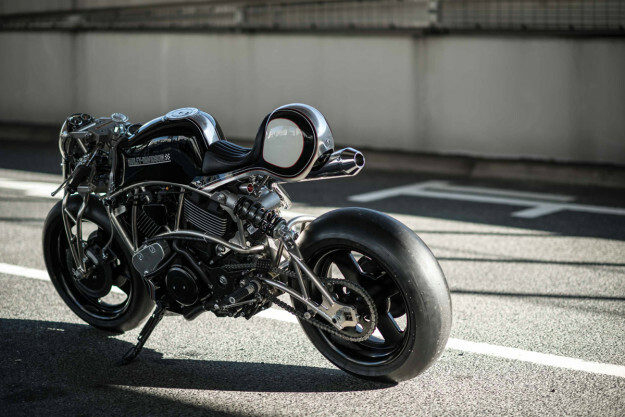 Though he usually works with older Harleys, Kurosu has no problem tearing into a modern machine. 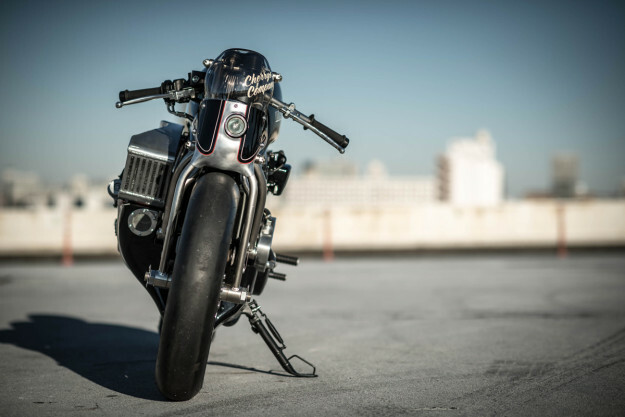 You’re looking at a Street 750—but it’s a radical departure from the controversial original. 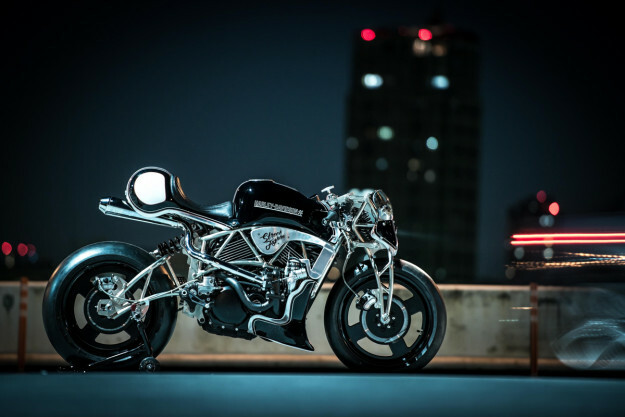 Kurosu’s brief came direct from Harley-Davidson, who commissioned five Japanese builders to rework the Street. The bike he’s delivered is chockablock with exquisite details: we’ve pored over a hundred photos of it, and couldn’t find one bad angle. In typical Cherry’s fashion, every part is a hand-made one-off. 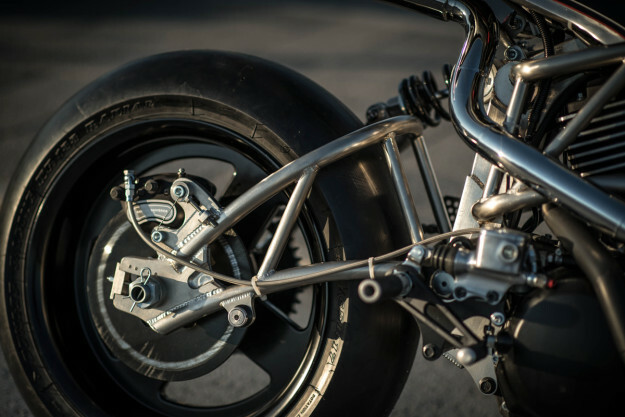 That includes the elegant girder fork, made up of CNC-machined aluminum mounts, and hand-bent carbon steel trusses. Over fifty percent of the frame is new. 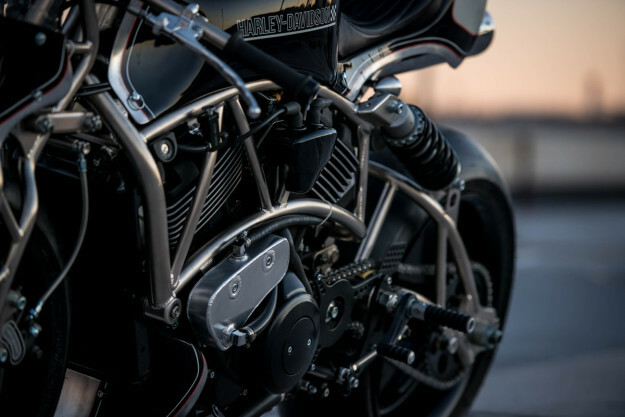 Taking cues from the girder front end, there’s a swooping, trellised section that flows flawlessly into the custom-made swingarm. But the astounding visual effect is only part of the story—under the hood are countless welds, mounts and gussets. Kurosu-san altered the Street’s geometry too, giving it a more an aggressive, racy stance. (Bespoke 17-inch wheels with Dunlop racing slicks drive the point home.) The geometry’s appropriate, when you realize that this Harley is blown. 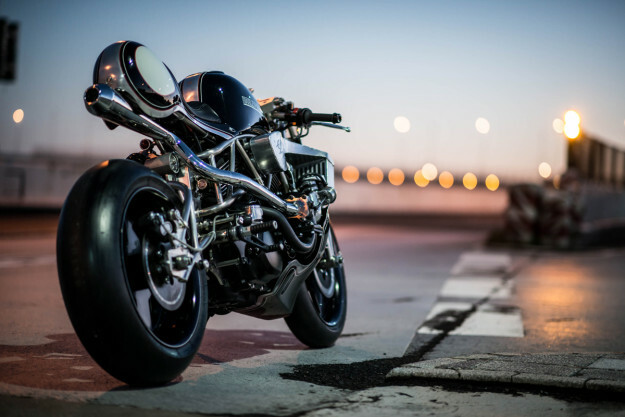 That’s right—there’s a turbocharger, hence the moniker ‘XG750Turbo Street Fighter.’ The turbo’s supported by a custom-made oil cooling system, intercooler and air surge tank. 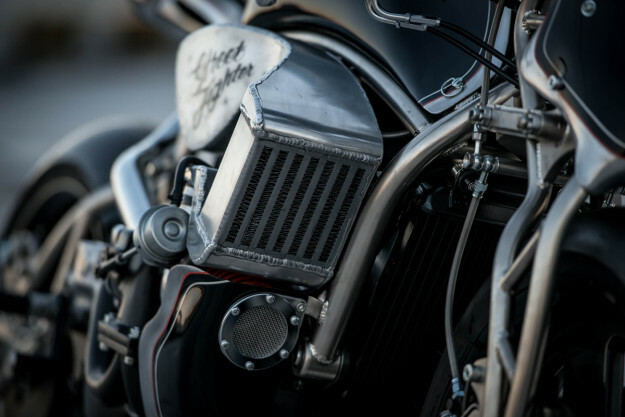 And if that’s not impressive enough, cast your eyes over the stainless steel exhaust system. With all that frame and engine work, it feels like an afterthought to mention the bodywork. But there’s otherworldly skill at play here too. 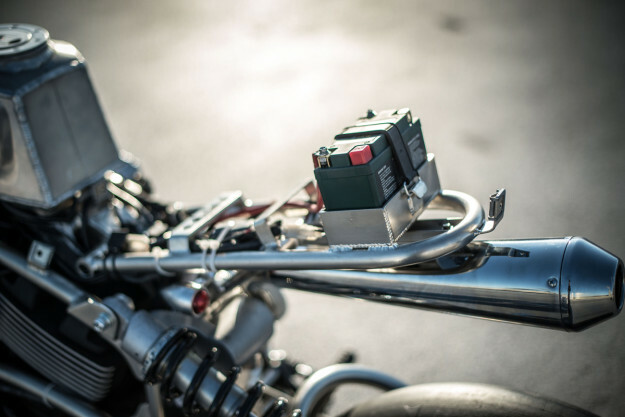 The tank cover, tail section and belly pan and are all hand-shaped aluminum pieces. The headlight shroud’s custom too, kitted with a halogen light and a modified bubble shield acting as a fly screen. Paint from Nomad Concepts and leatherwork from Skunk add the final touches to Kurosu-san’s masterpiece. 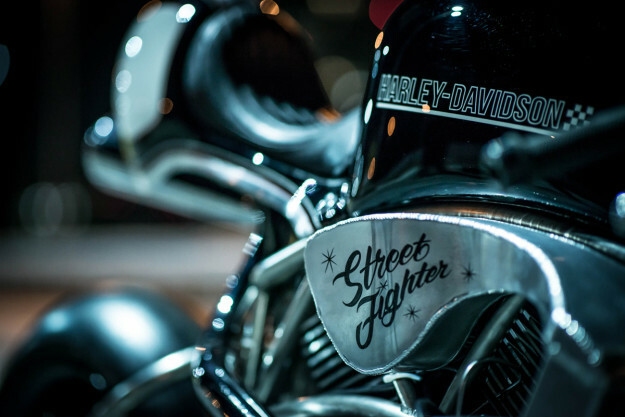 It’s far from your typical Harley custom. But really, does it get any better than this? Cherry’s Company | Facebook | Instagram | Photos by Hiromitsu Yasui | Thanks to Tadashi Kono for supplying the info.